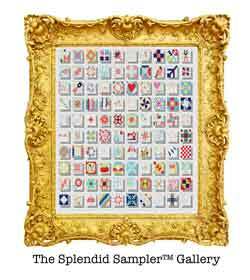 Here is a bonus block for you to enjoy and add to your Splendid Sampler blocks. 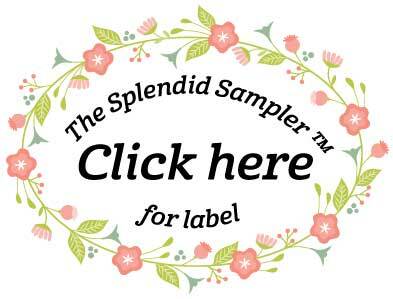 SEW THE BOOK DETAILS – We are assigning multiple blocks a week during the ‘Sew The Book’ portion of our year long sew along. Now that you have the book you can do any blocks you like, but we will assign several blocks on Thursday and you will meet those design team members. 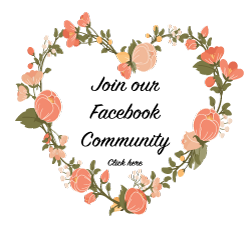 PLUS we will have extra fun things, like the chance to win prizes, designers could have giveaways or they may have tutorials. It’s great fun to sew the book and meet everyone. Do them all that week or as many as you like. It’s a journey not a race. 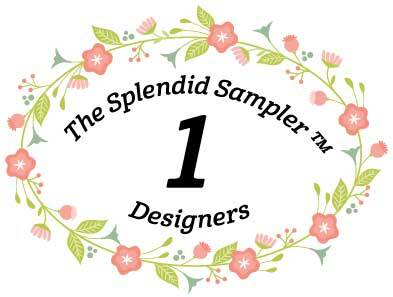 You only need to do ONE block a week to enter the giveaway. 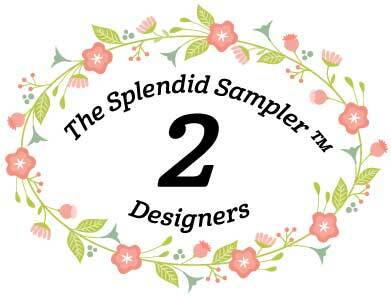 Or you might need to do a certain designers block, each week will be something fun! 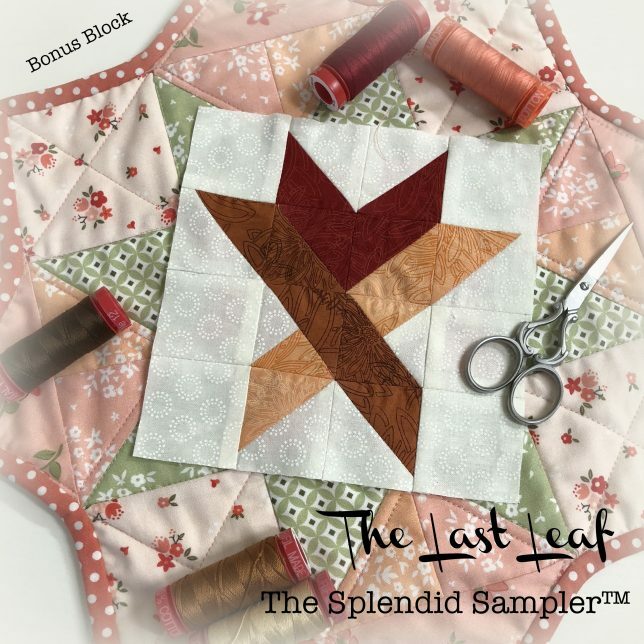 Download The Last Leaf block here.